Our research employs a comparative approach to understand how different insects locate odor sources in complex natural environments. 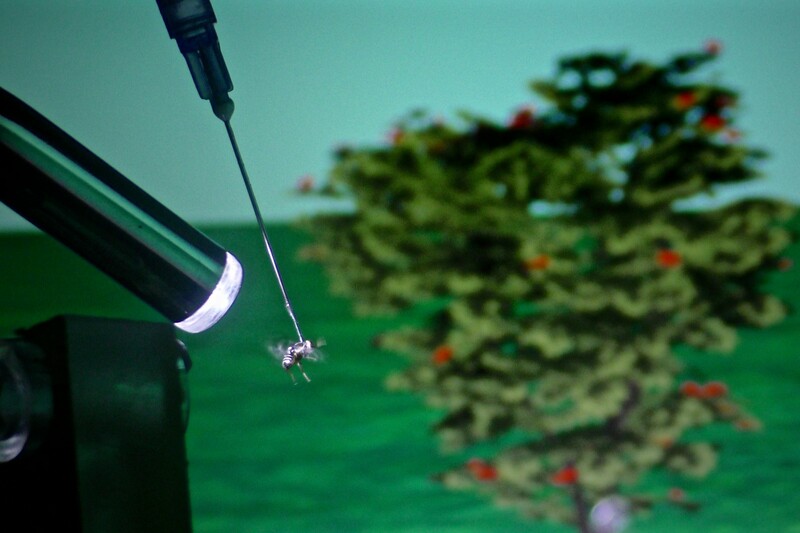 We take field trips, record neurons, generate models, and even build robots, all with the goal of understanding how different insects have evolved to smell “odor objects” and make decisions (i.e. select actions). We are dedicated to using advanced neuroethological techniques to understand sensory processing in the context of natural observations, and assess the response of the nervous system to ecologically-relevant stimuli. The study of olfactory decision making can uncover basic principles of complex sensory processing to understand the cause and treatment of sensorimotor disorders, or to build artificial systems that employ robot control and smart sensors. To examine natural olfactory behavior, We employ an interdisciplinary mixture of: evolutionary and ecological models to understand how insect olfactory systems process complex odors (Rhagoletis: Olsson et al., 2006-2009, Ostrinia: Olsson et al., 2010), molecular and genetic tools to probe olfactory signal transduction (e.g. Getahun et al. 2012, 2013), extra- and intracellular electrophysiology and optophysiology to assess the processing of complex odor objects (e.g. Spaethe at al., 2013; Kuebler et al. 2011, 2012), computational modeling to test our hypotheses (e.g. Capurro et al., 2012), virtual reality behavior to assess multimodal sensory integration, and robotics and engineering to replicate our biological findings in artificial systems. Because our interests are based on concepts rather than systems, We study organisms as diverse as beetles, sea urchins, and humans, always remaining open to new systems and collaborations.